Nearly three decades ago, civil war devastated the Horn of Africa’s northern flank. In Hargeisa, capital of the autonomous Republic of Somaliland, recovery continues, and among those leading the way are more than a few outstanding women. Formerly the British Somaliland Protectorate, Somaliland was independent for only five days in 1960 before it joined its southern neighbor, then the Italian Trust Territory of Somaliland, to form the Republic of Somalia, with its capital in Mogadishu. In 1991 Somaliland broke away. Despite the war that followed, it has remained separate ever since. As if to contradict the title of the 2013 novel by Hargeisa-born writer Nadifa Mohamed, Somaliland can no longer be regarded as The Orchard of Lost Souls. 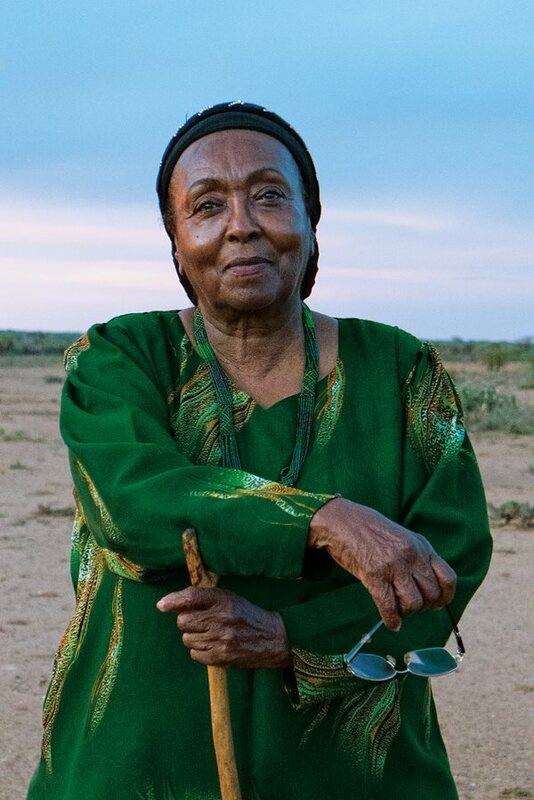 The book’s tale of a trio of women who help each other survive the civil war is being succeeded by new stories of women such as 80-year-old midwife, educator and public-health pioneer Edna Adan, as well as others, including many of Adan’s own students. 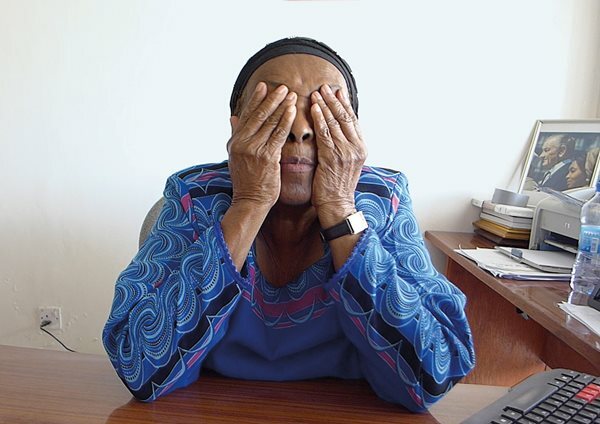 To find Adan in the maternity hospital and nursing school that carries her name (Edna Adan Hospital), one asks for her only by her first name, Edna. 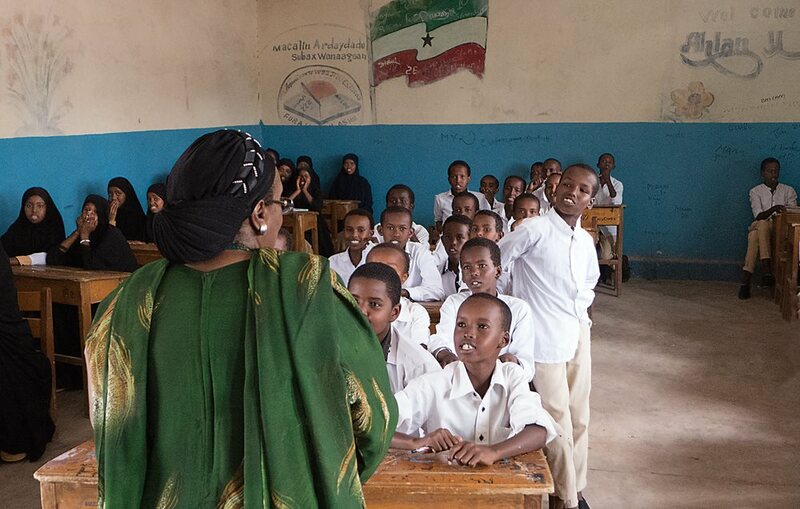 It’s all that is needed, and it’s best to come early, before she sets off on a routine 12-hour day into Somaliland’s countryside to interview candidates for the school’s incoming class. Work on the hospital had begun in the late 1990s, and it opened in 2002 with 25 beds. Even before that, Adan was already training scores of nurses and lab technicians. Women wait for treatment in the hospital, where Adan has overseen the training of more than 1,000 nurses, midwives and health professionals. Adan’s public service career includes 30 years with the World Health Organization (WHO) as well as government posts as both foreign minister and minister of family welfare and social development. Nonetheless, she modestly calls herself “the guinea pig of my generation,” as if to show that she has merely passed a test to prove a woman can succeed in a public role. Adan was profiled by journalists Nicholas Kristof and Sheryl WuDunn in their 2009 book, Half the Sky, as well as the eponymous 2012 documentary about extraordinary women around the world leading the charge to a better future for all. “Please, God, help that baby,” says Adan in prayer for the boy, lower, whom community midwife Ronda Adan prepares to wrap in a blanket to be held by his mother. Minutes earlier, following delivery by emergency C-section, the boy had stopped breathing, and had it not been for immediate treatment, he would not have survived birth. Since the civil war, Somaliland’s infant mortality rate—one of the world’s highest—has fallen to one-fourth of its pre-war high. This is due much to the growth in maternity services led by Adan, both in the hospital, which has seen delivery of more than 20,000 babies, and in rural services. The daughter of a Hargeisa doctor, she was determined as young as 11 years old to pursue a medical career. She trained first as a midwife in London in the 1950s, and she returned to her homeland as its first professional nurse-midwife. The civil war, from whose damages her family did not escape, inspired her to create something for the country. With Adan looking on together with outpatient department head Asha Farah, third-year nursing student Najah Ahmed Mohamed takes a patient’s blood pressure. To build the hospital that opened in 2002, Adan sold her home and donated her pension from 30 years of work with the World Health Organization. At the hospital now, on a typical busy day, Somali colleagues are joined by volunteers from neighboring countries Djibouti, Kenya and Ethiopia, as well as from Denmark, the UK and the US. The day might bring a complex surgery, a routine delivery, a rare lab specimen—or more. The needs are great. 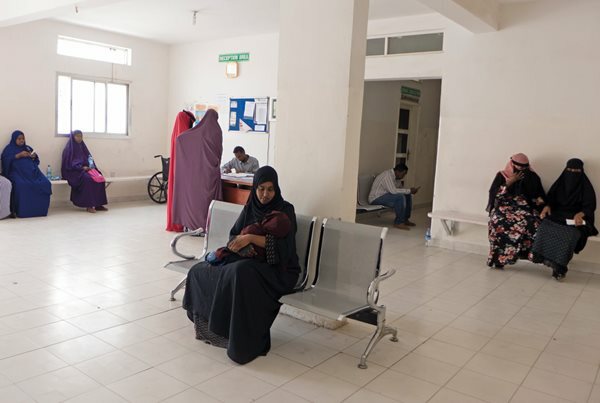 The hospital’s website notes that Somaliland’s overall public health ranks among the lowest in the world, in large part because the civil war “caused the death or departure of nearly all the country’s health care professionals.” Since then, much has been accomplished: Maternal mortality has fallen from 1,600 per 100,000 live births before the civil war to around 400 per 100,000—still nearly double the global average, according to the United Nations. 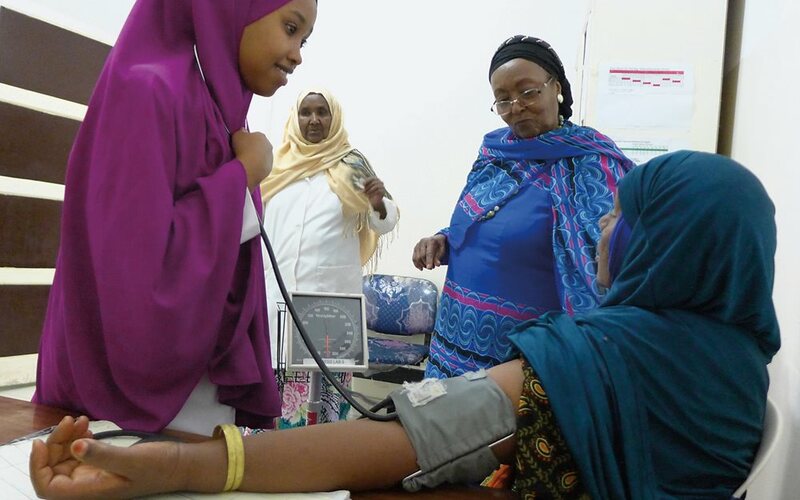 Among the 1,500 nursing, midwifery, and lab-technician students she has trained, two in particular stand out: the hospital’s chief doctor, Shukri Mohamed Taher, and midwife leader Khadan Abdilahe of the Somaliland Family Health Association. 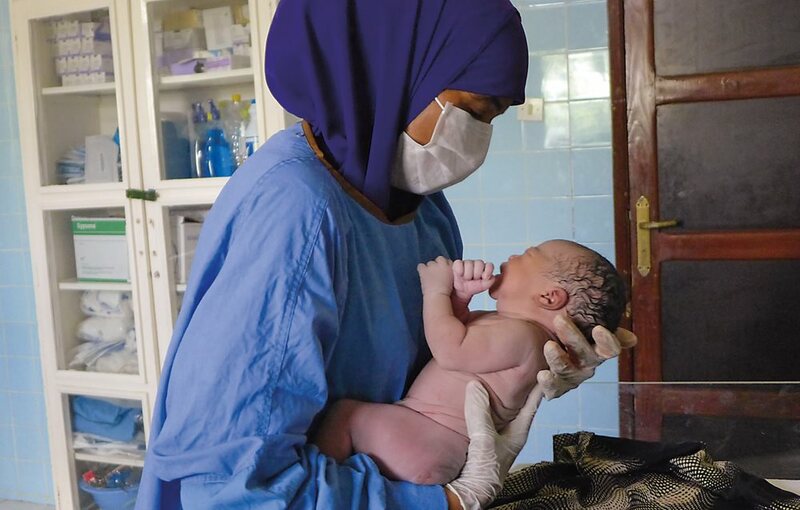 Taher was trained as a nurse by Adan, after which she graduated from medical school and returned to the hospital, where she has performed several of Somaliland’s first-ever pediatric procedures. Like Taher, Abdilahe also credits Adan with guidance that has strengthened her own will. “I was born after the civil war,” she says, “so I didn’t see that madness, but my father suffered a stroke, and my mother almost died in childbirth with a younger sibling. I could not help either one because I knew nothing. So that is why I became a nurse. Abdilahe admits she and her colleagues often find themselves fighting combinations of misinformation and superstition. The most difficult medical fight for Adan and her students is against the tradition of female genital mutilation, which the who condemns as a violation of human rights. As a leader in Somaliland’s campaign to end the practice, Adan has won support from both civic and religious leaders, including the mufti, the country’s top religious authority. And they are not all. 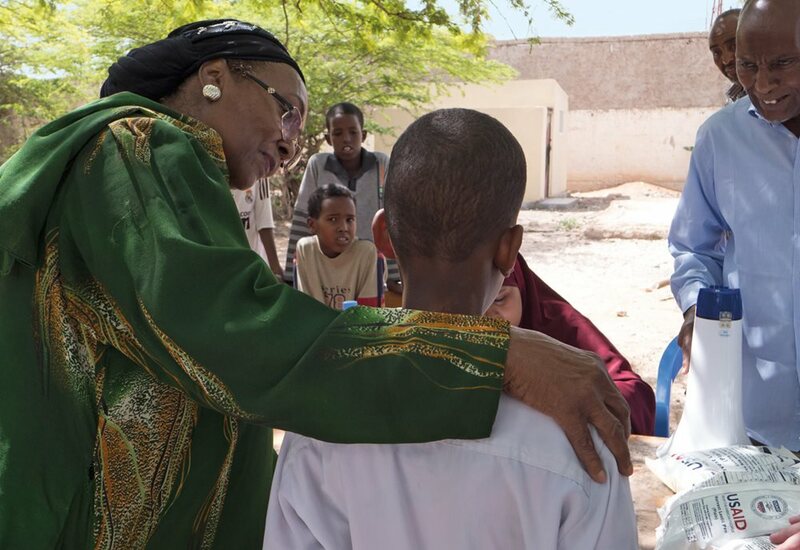 Daughter of a Hargeisa doctor, in the 1950s Adan became Somaliland’s first professional nurse-midwife. Are they okay? Are they healing well? She doesn’t want my father to overhear. Her collection’s title, Teaching My Mother How to Give Birth, is an ironic reference to the proverb, “These youth taught their mother to give birth”—meaning that the younger generation has the cheeky presumption to teach its elders something already well-known. Modern and popular songs have also helped to empower women, or at least allowed them to sing in public from their hearts. In the 1970s, Hargeisa’s top singers were Khadra Daahir Cige, from a butcher’s family, who sang, “Our love can’t burn out even in fire,” and Sahra Axmed Jaamac, who sang, “Our love in an endless sea that none can escape.” Professor of African and Middle East history Lidwien Kapteijns of Wellesley College notes that songs are helping reshape ideas about love, equality and social institutions while nurturing post-war national identity. Adan checks that a student is receiving the rations his family needs. 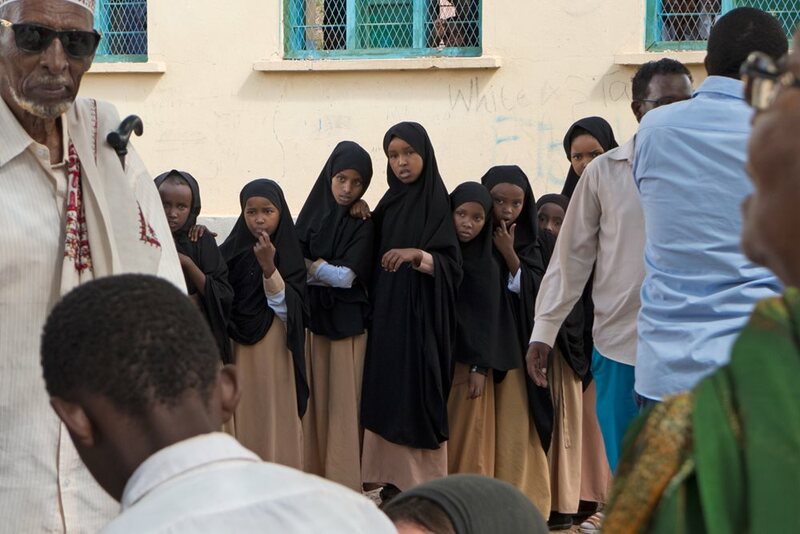 Outside Ma’alin Daud Primary School, girls line up and wait to hear their names called to receive usaid rations of lentils distributed by employees of Edna Adan Hospital and the charity CitiHope. The food relief, distributed in April, was a response to the hardship the region is enduring from three years of drought. 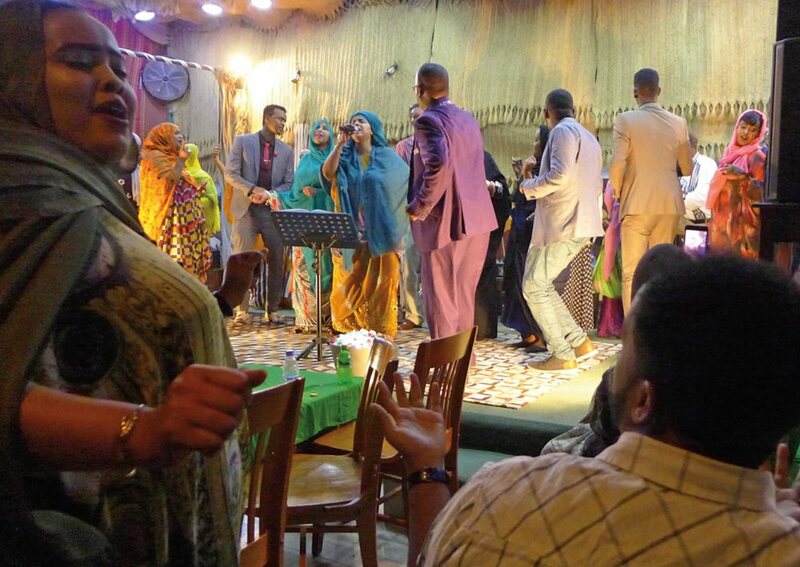 Indeed Hargeisa is “the mother of Somali music,” says Radio Hargeisa’s music producer, Muhammad Dahir Hayd. “We were recording it here before Radio Mogadishu even went on the air,” he says. How else could I be so intoxicated by her? Earlier this year, the album Sweet as Broken Dates: Lost Somali Tapes from the Horn of Africa was nominated for a Grammy award for historical recording. It features on its cover a 1970s-era photo of Hargeisa-born singer Hibo Nuura. Two of her most popular lyrics are “She who is successful will get her reward” and “Do not think there is another reason.” Both assert the compatibility of modernity and tradition. Now living in the us, Nuura has recently composed a patriotic anthem to her homeland. 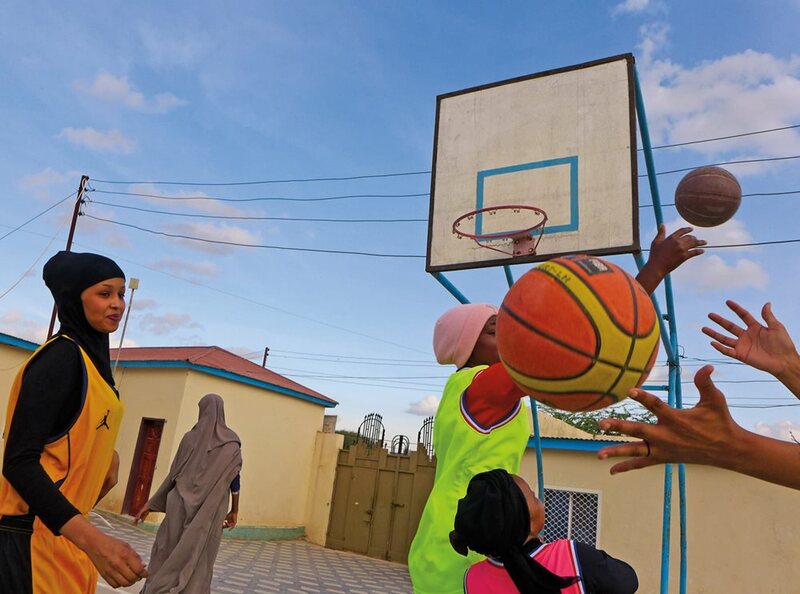 At the new Somaliland Culture and Sports Association in Hargeisa, young women play basketball as part of a program of physical education and fitness that also includes volleyball, table tennis and—unique in the country—weight training. “Our girls like to pump iron,” says founder Khadra Mohamed Abdi. She offered a refuge, without thought for herself. Bring unto us, O God, relief in Maryam’s plight. 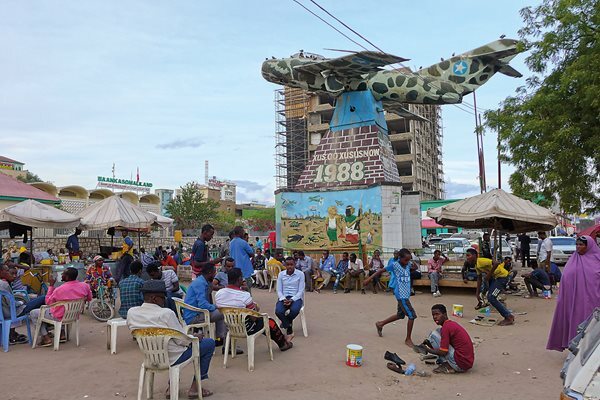 Hargeisa residents gather and relax around Freedom Square’s war memorial, a downed Somali Air Force MiG-17 mounted atop a mural of a woman holding Somaliland’s flag. 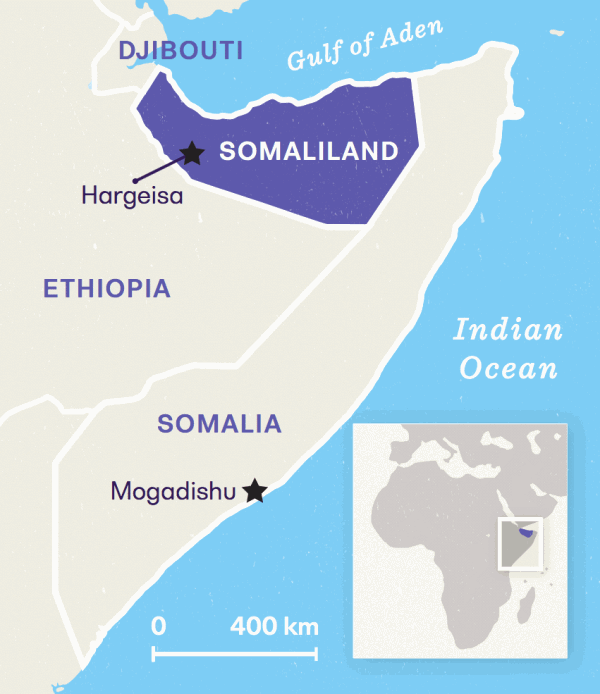 Since declaring its independence in 1991, Somaliland has functioned as an autonomous region. Khadra Mohamed Abdi, founder of the local nonprofit Somaliland Culture and Sports Association (socsa), was born in 1967 near the Ethiopian border, and she too knows what it is like to suffer from war. 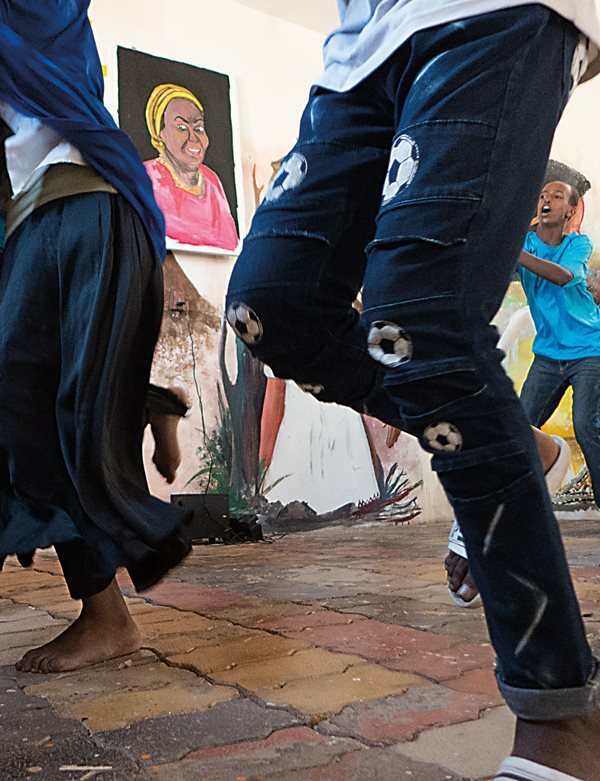 In addition to passing on heritage through folk dance, song and other programs, what sets socsa apart from most women’s sports programs in the Horn of Africa is its weightlifting gym. “Our girls like to pump iron, dunk baskets and return fast table-tennis serves,” says Abdi. If Adan can take credit for training the country’s first generation of female doctors and midwives, she can take heart that a younger generation is no less motivated. Two of Adan’s current second-year nursing students, 21-year-olds Hamda Jama Ali and Hoodo Nuur Ismaa’il, also have personal stories about why they want to become midwives. As a young girl, Ismaa’il says she helped her grandmother attend to the healthy birth of her aunt’s first child. Ali, on the other hand, watched a neighbor almost die when no one could assist her delivery. Both will soon attend a birth for the first time as midwives-in-training. “I want to see that happy moment when everyone is relieved, the baby is healthy, the mother is tired, and all of us are together helping,” says Ali. That attitude, Adan might say, is reward enough for a lifetime. Lorraine Chittock is the author of five books on the bond between humans and animals. She’s currently finishing her first film, Rallying for A Wild Life—Keeping our Adventures and Wild Spaces Wild. Find her on Facebook, Twitter and at www.LorraineChittock.com.